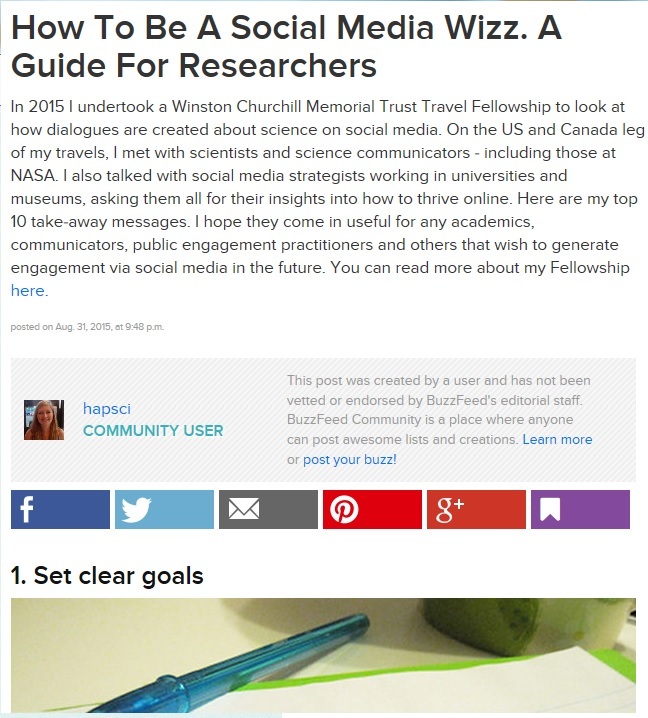 I have written a Buzzfeed post of the 10 top tips I have gathered from science communicators, universities and science writers in the US and Canada... click on the image below to be taken through to the guide. I hope you find it useful. This list was compiled as I undertook my Churchill Travel Fellowship. I also wrote up some good example case studies and how to plan a social media engagement strategy on the LSE Impact Blog. I wanted to take this opportunity to thank everyone that supported me and met with me during my Fellowship. Everyone I met was so open about discussing what they do.